Discover and comprehend The Temple Institut world like never before! 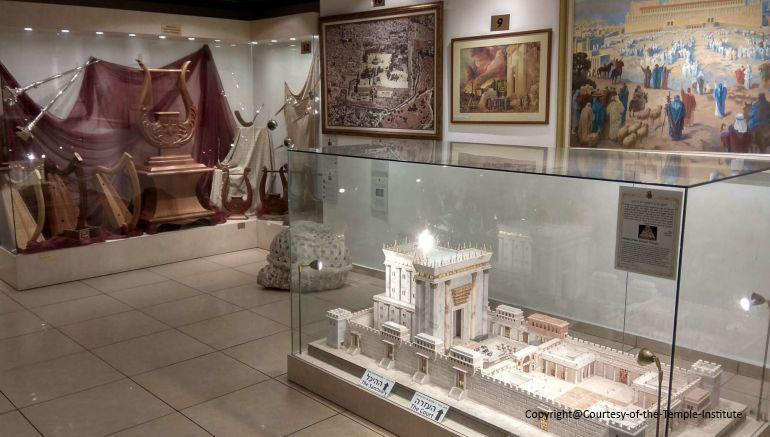 The Temple Institute's Holy Temple Visitors Center includes a highly advanced, state-of-the-art audio-visual presentation of the Temple-ready sacred vessels created by the Institute, garments of the High Priest, oil-paintings depicting aspects of the Divine service of the Holy Temple and a model of the Holy Temple Complex. You will also be able to see a scaled-down stone altar, made in accordance with Torah law, transportable and completely ready for use on the Temple Mount. The Visitors Center also includes a beautiful gift shop. Open: Sun.-Thurs. 9:00 AM - 5:00 PM, Fri. 9:00 AM - 12:00 PM. 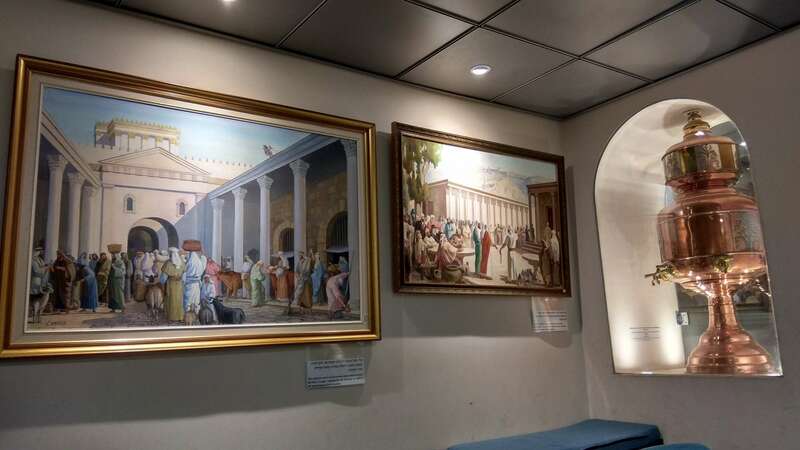 Entrance fee includes a Sound and Light presentation, narrated by the Temple Institute's English Director of International Department, Rabbi Chaim Richman. This audio explanation, heard by the whole group together (not headsets), guides the group though the 3 exhibit halls with a film at the end. The length of the tour is about 50 minutes. Guided audio tours in the following languages: English, Hebrew, Spanish, Portuguese, French, Russian, Italian, German, Chinese (Mandarin), Korean, Amharic and Yiddish. All visits require advance booking and prepaying for entrance fee.